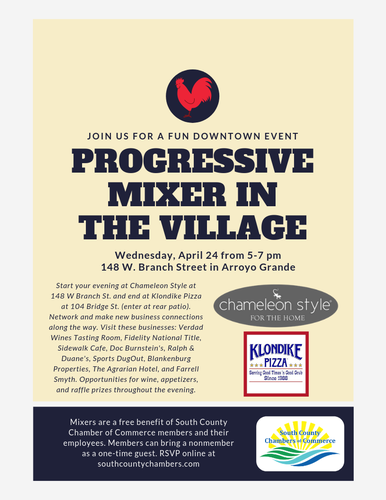 Join us for a progressive Chamber mixer in the Village of Arroyo Grande. Start your evening at Chameleon Style at 148 W. Branch St., and end at Klondike Pizza at 104 Bridge St. (enter at rear patio). Network and make new business connections along the way. Visit these businesses: Verdad Wines Tasting Room, Fidelity National Title, Sidewalk Cafe, Doc Burnstein's, Ralph & Duane's, Sports DugOut, Blankenburg Properties, The Agrarian Hotel, and Farrell Smyth. 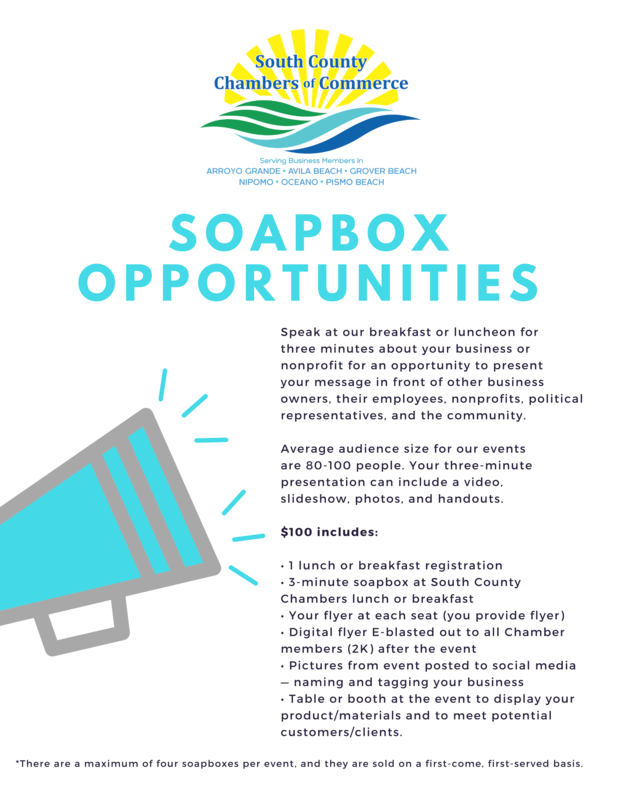 Opportunities for wine, appetizers, and raffle prizes available. Ending at: Klondike Pizza- 104 Bridge St, Village of Arroyo Grande (enter at rear patio). Visit several Village businesses along the way. Mixers are a free benefit of South County Chambers of Commerce members and their employees. Members can bring a nonmember as a one-time guest.